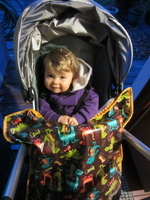 Rave Reviews about Rain Baby Gear | Send us your comments today! We are passionate about our outdoor gear, aprons and accessories and we hope you are, too! 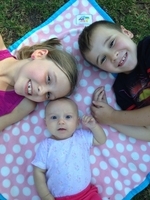 Please share your feedback or a testimonial of your Rain Baby Gear. We encourage you to upload a photo (jpeg format please) so we can see you in style. You make an awesome product. Thank you for what you do. Love is not a strong enough word for how we feel about this blanket. It passed a series of inspections. You've got an awesome product and I take the blanket with me EVERYWHERE. This photo is from a hike up Angel's Rest in the Gorge. This was 'Sylvi's Rest' since she badly wanted a break from the Ergo carrier halfway up the hike. Keep making a good product! "When my little sister is born, I promise to give it back." 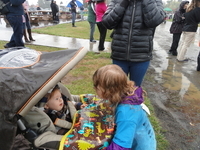 "We used our Rain Baby Gear at the beach this weekend and it was perfect! 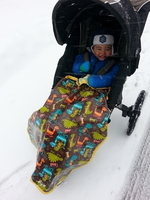 We love our Rain Baby Gear!" 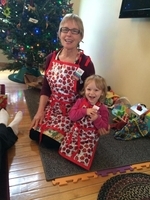 "We love our Rain Baby Gear lady bug aprons!" They have been using the whale blanket constantly and consistently. One of the "most used" presents they have received! Thanks. We got it today. 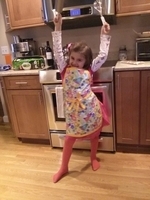 The apron made great brownies today. "Snuggly and dry on every walk!" 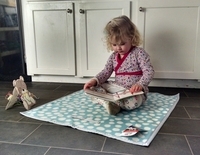 'I love our Rain Baby Gear blanket! Our daughter is a night owl and we went on many midnight walks with her in the spring and winter. 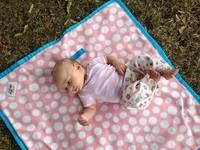 Our Rain Baby Gear blanket kept her snuggly and dry on every walk!" 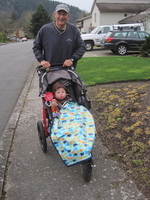 "The perfect blanket for covering Keane between the parking lot and the store when running errands. It came in handy too during Avery's jog-a-thon for school." We use our blanket at the park when we take our older kids and dog. It gives Lilliana a chance to play as well. We didn't realize that she was camouflaged baby until we looked at the picture. 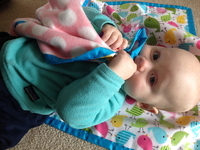 At home the blanket is perfect for tummy time since we have animals it is also pet for resistant and still allows for a soft area for her to lay down. Thanks so much for the blanket!! I've been getting great use out of it. 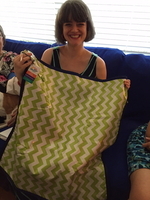 And I love the fabric!